Are YouTube videos displaying a green screen? Is your browser crashing when you try to watch them? Or do they just not play properly? Issues with Flash, which YouTube uses to play videos, may cause all these problems — and more. 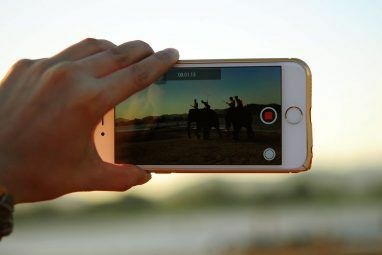 These quick troubleshooting steps will resolve problems playing videos on YouTube for almost everyone. 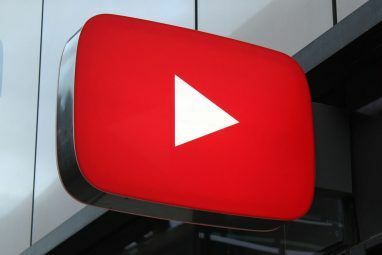 Problems with Flash on YouTube can be caused by hardware acceleration problems, conflicts with installed extensions, or older versions of Flash. Browser incompatibilities can also be a concern – it’s always a good idea to test a website that doesn’t work in multiple browsers. Maybe a specific browser and Flash just don’t work together properly on your hardware. Adobe Flash Player uses hardware acceleration 3 Free Media Players that Support GPU Acceleration [Windows] 3 Free Media Players that Support GPU Acceleration [Windows] Read More by default. This feature uses your computer’s graphics card to accelerate Flash playback, improving performance. However, hardware acceleration doesn’t always work properly. 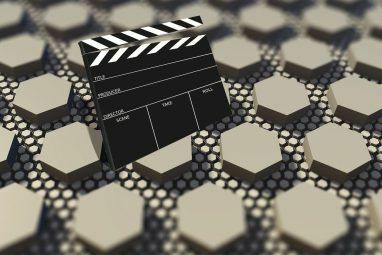 In some cases, you’ll see a green screen on YouTube instead of a video – that’s an indication that hardware acceleration isn’t working properly on your system, as these people on MakeUseOf Answers discovered. To disable hardware acceleration, right-click a YouTube video (or any other Flash object) and select Settings. Uncheck the Enable hardware acceleration check box and see if this fixes your problem. Bear in mind that hardware acceleration is very useful in increasing Flash’s performance – you shouldn’t disable it if it works properly. Hardware acceleration may function normally after upgrading your computer’s graphics (video card) drivers How To Safely & Easily Update Your Video Card Drivers How To Safely & Easily Update Your Video Card Drivers Hunting for device drivers isn't such a task anymore, anyway. Most of your Windows drivers will never need to be touched right out of the box. Your video card is in its own sacred territory... Read More . If you have an old version of Flash installed, it may not work properly with YouTube or your browser. If you’re having problems watching videos, you should ensure the most recent version of Flash is correctly installed. Note that Google Chrome users won’t have to upgrade Flash – Chrome installs its own Flash plug-in, which it keeps up-to-date for you. Before installing the new version of Flash, you should first uninstall the old version to ensure there won’t be any conflicts. Open Adobe’s Flash Player uninstallation page, download their uninstaller, and follow the instructions on the page to completely uninstall Flash. After you have, visit the Flash Player download page to download and install the latest version of Flash. This may solve your problem. If you’re using Mozilla Firefox, some Firefox add-ons you’ve installed may conflict with the Flash plug-in on YouTube, causing it to crash. For example, JCF on MakeUseOf Answers had a conflict with the Avira antivirus’s search bar on his system – as soon as JCF disabled it, videos played properly. To check if add-on conflicts are the problem, click the Firefox button, point to Help, and select Restart with Add-ons Disabled. After Firefox restarts, go to YouTube and try watching another video. If the video plays properly, you have an add-on conflict. You can disable add-ons one by one (restart Firefox after disabling each) to pinpoint which add-on is the problem. Select Add-ons in the Firefox menu to open the add-on screen, where you can control your installed add-ons. If the video doesn’t play properly after restarting Firefox with add-ons disabled, you have another problem. If Flash doesn’t work properly in Firefox on your system, you might try installing Chrome – or vice versa. Different browsers have different quirks on different hardware, and one browser may work properly with Flash while one won’t. Note that it was once possible to disable the out-of-process plug-in feature in Firefox by toggling the dom.ipc.plugins.enabled setting on Firefox’s about:config 6 Useful about:config Tweaks You Should Know for Firefox 8+ 6 Useful about:config Tweaks You Should Know for Firefox 8+ Are you browsing this article in Firefox? If not, go ahead and fire up the browser and take a look at all the options you can change. It’s pretty easy to customize Firefox, right? Especially... Read More page, as one of our readers suggested on MakeUseOf Answers. Unfortunately, there’s no way to disable out-of-process plug-ins in Firefox 14. Changing the setting does nothing. Using another browser may solve your problem if Firefox refuses to work with Flash on your system. If Flash just won’t work properly on your computer, you can try watching YouTube in HTML5 5+ Impressive Free HTML5 Games You Can Play In Your Browser 5+ Impressive Free HTML5 Games You Can Play In Your Browser HTML5 signifies the evolution of markup language as we know it. Flash games were once the norm when it came to browser-based entertainment, but now thanks to the powerful nature of HTML5 many web applications,... Read More instead of Flash. Just head over to YouTube’s HTML5 Video Player page and click the Join the HTML5 Trial link. Not that you must be using a supported web browser, such as Google Chrome, Firefox, Opera, Safari, or Internet Explorer 9. Older versions of Internet Explorer also work with Google Chrome Frame – the link above will provide you with more information. Unfortunately, not all videos will play in the HTML5 player. Videos with advertisements will fall back to the old Flash player, which may not work properly on your system. YouTube’s official help page on the subject also mentions some other possible solutions, such as adding YouTube.com as a trusted website in your firewall software. If you’re running third-party firewall software instead of the built-in Windows firewall Windows 7 Firewall: How It Compares Against Other Firewalls Windows 7 Firewall: How It Compares Against Other Firewalls Windows 7 contains an unobtrusive, easy-to-use firewall that protects your computer from inbound traffic. If you're looking for more advanced options, such as the ability to control outbound traffic or view the applications using your... Read More , this may also be worth a try. Did you have a problem with Flash on YouTube, or anywhere else? How did you solve it? Leave a comment and share your experience! Explore more about: Adobe Flash, Online Video, YouTube. Hi. I have the latest version of flash player, my problem is when on you tube an I want to download a video it says to get the new flash player! Ive done my manage ons and my filtering but still in not working!! plus my flash player is enabled, on the videos it just keeps telling me to download the new adobe flash player then it just keeps taking me back to same page. I'm on windows 10. Please Enable UTF-8 in the post settings. my Cyrillic gets posted as ??????. Thanks. Landis. Thanks. I'm Really liking this site. It was puzzling to me, why youtube was of the the sudden, streaming me flash videos. I use Only Linux and don't like flashplayer. the section on 'Watch Youtube with HTML5' did the trick. I've used the page before, testing my nightly builds, but it Never crossed my mind that the 'default' player (addon, plugin) had changed, why would it? I haven't changed anything locally, right?... Anyways, Thanks. I'm good to go, again. ???????. Landis. What about SAFARI browser, is it realy not support Flash? I don't know if my computer is the problem, or Youtube is the problem. Everytime I saw a 15th video from powering on my computer, the screen just flicks like a GIF with 2 pictures to animate. And then, I have two options: Reset the computer or Log Off My Computer using CTRL + ALT + DELETE. My problems with Flash have always been it gets hung up on itself. Am I the only one who watches the progress bar chasing the bar that indicates how much of the video has loaded? I have a fast Internet connection and it still hangs up here and there. Who am I blaming? My MBP? Comcast? YouTube? Thanks for the tip on Disable Hardware Acceleration! My laptop has dual graphic intel and AMD Radeon, and in some browser like maxthon & Opera it may cause flash video to display flickering gray screen if I set the browser to use power saving mode which uses Intel HD graphic instead of AMD Radeon graphic, so the only way to be able to play flash video in that browser is to set the browser to use High Performance mode which will uses AMD Radeon graphic, which I think is not necessary for browsing. But after disabling the Hardware Acceleration for flash, I can now play flash video in that browsers using Intel HD Graphic! Many Thanks! Yup -- it will use more CPU time, but that's a small price to pay if hardware acceleration doesn't work.